We partner with people, companies and organisations that share our values and can help us to continue to innovate. Together, our strategic partners support Tpas and our members to enable us to access new talent, resources, and expertise beyond our immediate membership family and our sector. The Campaign for Social Housing - SHOUT - Social Housing Under Threat, aims to drive policy to reverse the denigration of supply and promote the building of more genuinely affordable social housing, something that Tpas feels passionately about. We partner with the SHOUT campaign team to help us influence government consultations and to promote our strong opinions on the future of affordable homes for all. Tpas is proud to be involved in and supporting the Real Life Reform study. This is an important and unique study that tracks how people are living and coping with Welfare Reforms across the North of England. The study is intended to help highlight the real experiences and impact and track whether the aims of welfare reform work, and understand the unintended consequences. We partner with the study to share the findings amongst our members and event delegates and to help us understand how we can support tenants, residents and wider communities to mitigate the impact of the welfare reform changes. LEASE provides free initial advice to members of the public on residential long leasehold and park homes law. They can help if your enquiry is about a flat or leasehold house with a lease longer than 21 years. 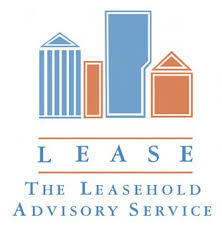 We partner with LEASE to complement our knowledge of the experiences and issues faced by leaseholders in social housing. The Housing Ombudsman Service is set up by law to look at complaints about the housing organisations that are registered with them. The service is free, independent and impartial. The Housing Ombudsman Service resolves disputes involving the tenants and leaseholders of social landlords and their voluntary members (private landlords and letting agents who are committed to good service for their tenants). We partner with the Housing Ombudsman to improve our understanding of formal complaints and to help individuals and organisations to learn from best practice across the housing sector. The NTO are a group of representatives from England’s four National Tenant Organisations to share existing and emerging developments in social housing. Tpas are joined by the Confederation of Co-operative housing, NFTMO and TAROE. We partner with the National Tenants Organisation to create a unified voice to influence both government and housing providers alike. 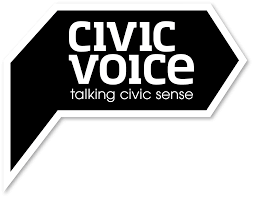 Civic Voice is the national charity for the civic movement in England. They aim to make places more attractive, enjoyable and distinctive and promote civic pride. We partner with Civic Voice particularly on subjects which are around the localism agenda and giving power to local communities to protect and sustain buildings and open spaces that are valued. The International Union of Tenants (IUT) is a non governmental organisation, founded in 1926 in Zürich, Switzerland, with the purpose of safeguarding the interests of tenants. IUT is a non-party political organisation, working along democratic lines. We partner with the IUT as it considers housing as one of the fundamental rights in society, and therefore needs to be addressed locally, nationally and internationally. IUT believe that adequate housing is also one of the safeguards for peace and security in Europe and elsewhere in the world and that homelessness is one of the major ingredients for social exclusion.